When registering please choose: The Register Myself button - This will allow you to add all functions you wish to attend. Singapore Corporate Counsel Symposium - An afternoon of programming for Singapore-based regional and global corporate counsel in collaboration with the Singapore Corporate Counsel Association. Members are encouraged to attend and invite their corporate counsel guests. A full day of regional and global legal programming and networking opportunities between member and guest corporate counsel and in-house counsel. Please note: you must be logged in to register. Please search for your name – If you have ever attended a meeting - you already have an account. If this is your first time registering for a meeting - you will need to create an account. Regional Meetings provide an opportunity for IADC members in your area to network and discuss critical local issues. The meetings are free to members and their guests. 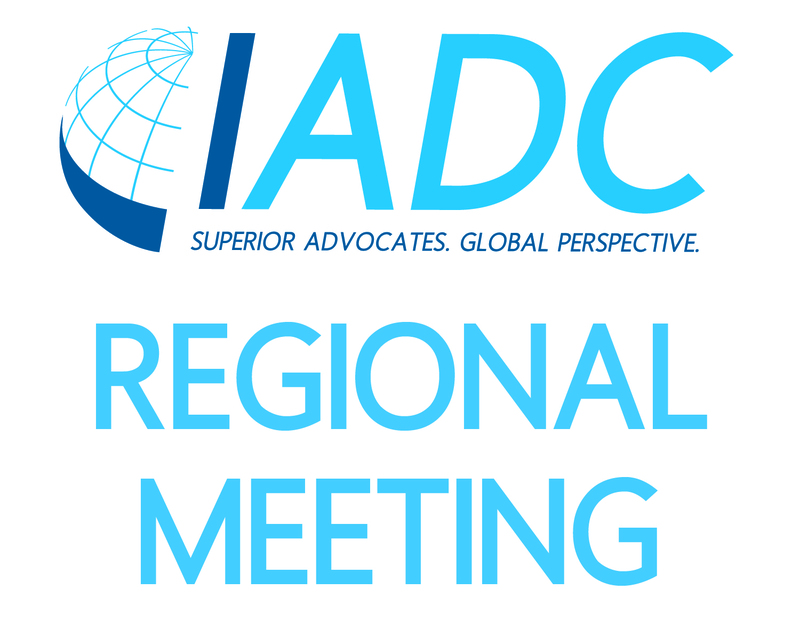 Regional Meetings are organized by local IADC member chairs. Local IADC companies and firms sponsor the meetings and the receptions that follow. Please select if you plan to attend the dinner at the Atlantic Restaurant at The Tower Club, 9 Raffles Place, Penthouse (62nd - 64th Floors) Republic Plaza Tower 1, Singapore. Please choose your main course selection from the menu options provided. Please select if you plan to attend. Program begins - Friday, May 11, 2018. Location: Dentons Rodyk & Davidson LLP, 80, Raffles Place, #33-00, UOB Plaza 1, Singapore Topics include: Developments in the Use Of Third-Party Funding in the Region; South-East Asian Legal Update; Personal Data Protection – Implications and Fallout from the Facebook Debacle; Getting your Arbitration Going – Insights and Strategies; Challenging Arbitration Awards – An Examination of the Yukos Case from a Russian Perspective.